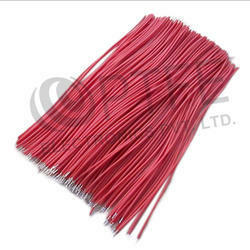 We are involved in manufacturing Teflon (Teflon is the registered trademark of Chemours) Wires that finds usage in a large number of applications in process industries and can be availed in wire or coil form, for a fixed resistance value per meter.The teflon wires are available in various wattage ratings, ranging from 150 Watts to 3000 Watts, with or without shield. 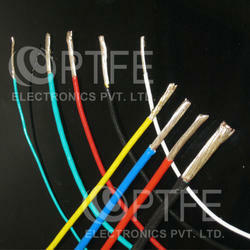 We offer these wires in various customized options as per clients’ specifications. We are offering LCSO Approved Teflon Wires (Teflon is the registered trademark of Chemours) to our client. 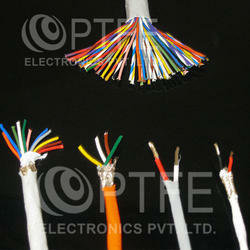 We are offering Teflon Wires (Teflon is the registered trademark of Chemours) to our clients. We offer supreme quality Teflon Wires (Teflon is the registered trademark of Chemours) which is well-marked in the industry for its durability. 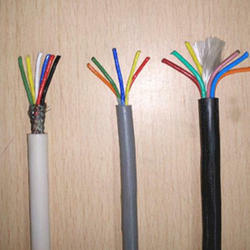 The PTFE Coated Wire is efficient enough since it is non-flammable and weatherproof. PTFE Wires are manufactured with best available stranded copper wires, giving better flexibility for comfortable use in the wiring. We are offering Teflon Coated Wire (Teflon is the registered trademark of Chemours) to our client. We are offering LCSO Approved Teflon Wires (Teflon is the registered trademark of Chemours) to our clients. 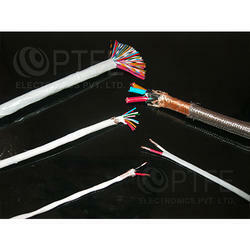 We are offering Teflon Insulated Wires (Teflon is the registered trademark of Chemours) to our client. 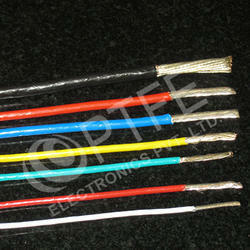 We are offering ROHS Approved Teflon Wire (Teflon is the registered trademark of Chemours) to our client. 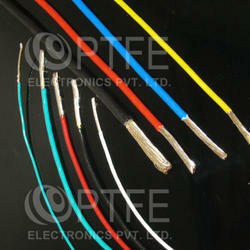 We are offering Teflon Insulated Copper Wire (Teflon is the registered trademark of Chemours) to our clients.